The latest projections show that consolidation savings for 2013 are at least 40 percent greater than what was initially projected by the Joint Shared Services and Consolidation Commission in 2010- at least $2.26 million v. $1.61 million. Forum asks: Could Roxbury and Mount Arlington become one? ROXBURY — Residents of Roxbury and Mount Arlington Wednesday evening gathered at the Roxbury Public Library to begin discussing the idea of merging the municipalities. Last year, Save Jerseyans, both Princeton Boro and Princeton Township made the historic decision to consolidate. A sensible proposal to merge Cherry Hill with little Merchantville is going the way of most such proposals: nowhere. Cherry Hill Mayor Chuck Cahn told The Inquirer’s Kevin Riordan last week that no one could see the advantage of consolidation “from a Cherry Hill perspective” – which is a huge part of the problem. Both sides of the Scotch Plains-Fanwood consolidation testified in front of the Local Finance Board last Wednesday. The hearing, held at the Department of Community Affairs building in Trenton, lasted about an hour and saw a comprehensive discussion about the proposed Municipal Consolidation Study Commission. SCOTCH PLAINS — Fred Lange, a grandfather and amateur magician, was just enjoying his retirement. Really. The Scotch Plains man, who’s pushing 80 but could pass for a lot younger, was living out his days with his wife, Doris, and paying no mind to local politics. 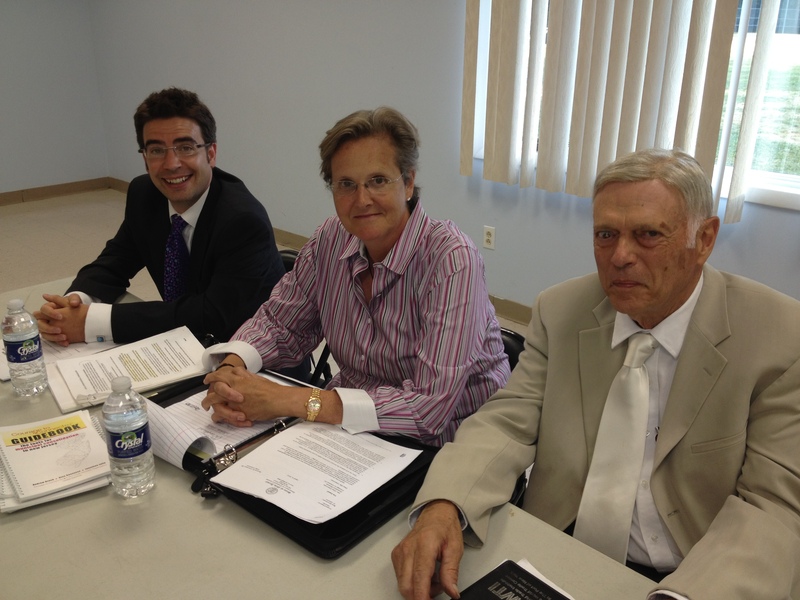 Princeton Township Mayor Chad Goerner, Courage to Connect New Jersey Executive Director Gina Genovese and Fred Lange of Courage to Reconnect (l-r) eagerly await a public hearing with Fanwood residents regarding a proposal municipal consolidation study for Scotch Plains and Fanwood. The hearing was held July 10 in Fanwood, as part of three summer hearings being held through the oversight of the state Department of Community Affairs. Following a November vote by residents of two New Jersey municipalities to merge, a task force is proceeding with plans to combine Princeton Township with Princeton Borough. Some expenses of the consolidation are higher than anticipated.